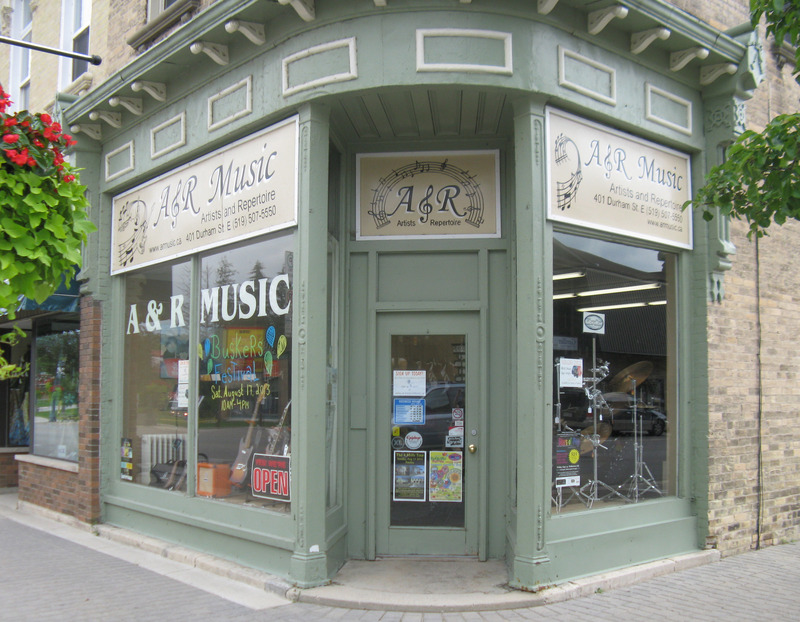 Budding or seasoned musicians should visit A&R Music: Artists and Repertoire located at 401 Durham Street East, Walkerton. Opened on December 1st, 2009, Richard Popiez has striven to establish a comfortable and convenient place to shop, get advice and service or just spend some time chatting. It is not unusual for a fellow musician to wander in and start playing a tune or have an impromptu jam break out. Picking up guitar at a young age, Popiez has been a musician for over 40 years. He gained business experience working for others. 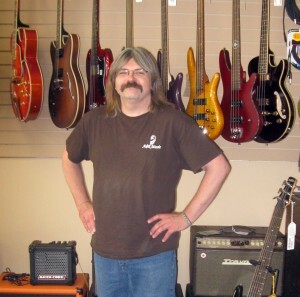 Downsized out of his job just 2 years after the local music store in Hanover closed, he revived a long-time dream of owning a music store. The short time from concept in June, 2009, to the goal of opening in time for Christmas was his greatest challenge. He highly recommends working up a comprehensive business plan. His research involved talking to local musicians who, like himself, no longer had a local place to shop. It is not unusual for a fellow musician to wander in and start playing a tune or have an impromptu jam break out. The closest music stores were Listowel, Wingham and Owen Sound. Music teachers, both private and in the school systems, were consulted as well as other music stores and suppliers across North America. Popiez wanted to be sure of what merchandise and services would be in demand for his service area, which spreads throughout Grey and Bruce Counties. In debates on choosing Walkerton or Hanover, it became evident that there really is not a great separation between them geographically or in the minds of the locals. Together they are considered the business hub of southern Grey-Bruce. In 2009 there were few retail spaces available except expensive units. Living in Walkerton, it was much more cost efficient for Popiez to be able to walk to work. He was lucky to find the building his store now occupies and he appreciated the century old character. A&R Music offers instrument sales, service and repairs, accessories, sheet music, books and various related items. Local artists are supported through offering their CD’s for sale and by listing local events on the store website. Currently there is a summer co-op student studying Business Management helping with promotions and social media. Asked what the best thing about A&R Music was, she immediately declared it was the prices being at the same level, or lower than, big city pricing. Future plans for A&R Music include looking into possibly offering music production and lighting. Popiez would like to expand his teaching but is restricted by the size of his establishment. He will eventually look into instrument rentals. We love shopping at A&R Music; Rick is always helpful and takes time to chat. We love to drop in and see Rick and his smiling helpers. If you can’t find it there, he will find a way to get it for you. Congratulations on almost 4 years of going strong!! !